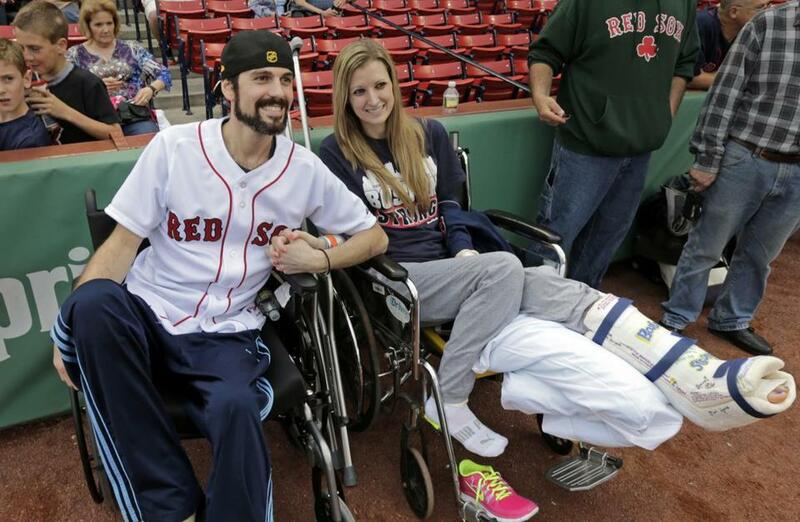 Pete DiMartino and Rebekah Gregory appeared at Fenway Park after the bombing. 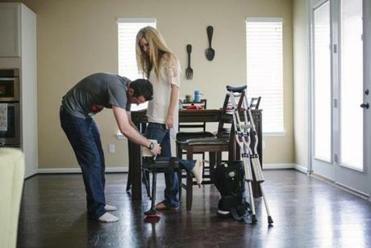 A couple who said “I do” in the national spotlight after they were injured in the 2013 Boston Marathon bombings has decided to part ways. Rebekah Gregory took to her Facebook page to discuss her breakup with Pete DiMartino. The two had gained national fame after they won a dream wedding contest sponsored by TheKnot.com last year. Gregory said on Facebook this week that it was difficult for her to handle the split once the news went public. She said it was one of the hardest things she has had to deal with — including the tragedy she lived through in April 2013. “But my life doesn’t stop. I will keep moving forward because giving up is not an option, and I still, despite everything, believe in a bigger plan,” she wrote. The post came in response to a story on People.com last week. Rebekah DiMartino decided to undergo an amputation after more than 15 operations that still left her in acute pain. The couple got married 10 months ago, in April, in North Carolina. Gregory and DiMartino were standing along Boylston Street when the bombs exploded. They were waiting for DiMartino’s mother to cross the finish line. After more than a dozen surgeries, Gregory had her leg amputated last November. She wrote a “goodbye” letter to her leg on Facebook, which went viral, showing her strength through a challenging time. Gregory, who has a 7-year-old son from a previous relationship, has been training for this year’s Marathon, which she will run with a prosthetic leg. She has frequently shared updates about her progress to Facebook. “Storms in life are inevitable. How we handle them is what is optional,” Gregory wrote in a recent post.